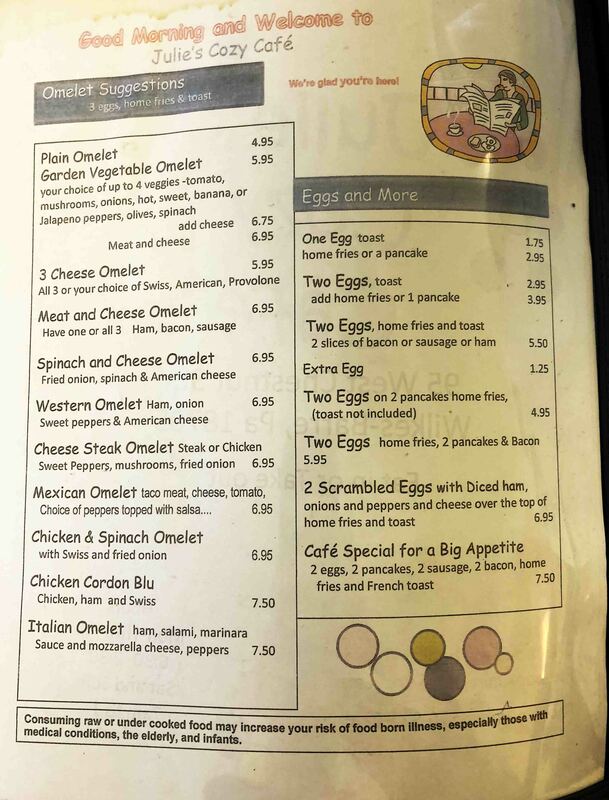 Breakfast & Lunch 7:00 AM to 2:00 PM. 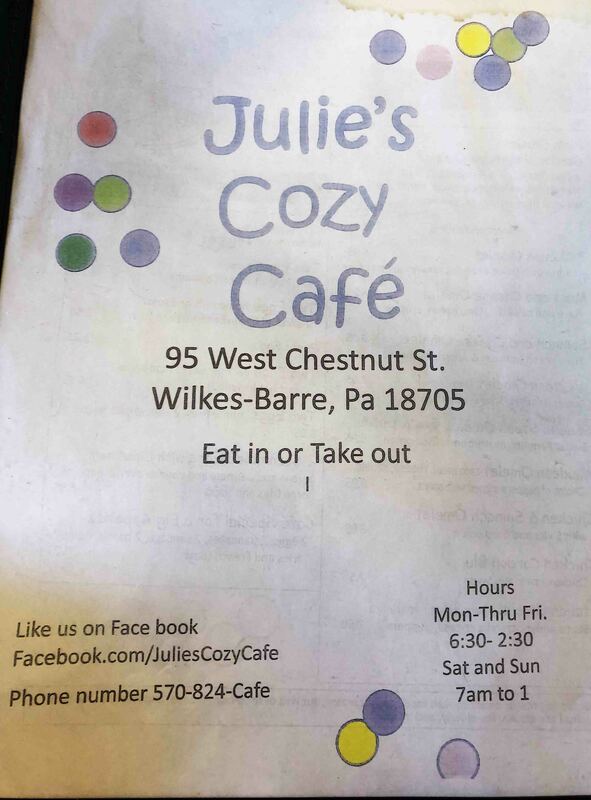 Julie’s Cozy Cafe is open on Sundays from 7:00 AM to 1:00 PM. The restaurant has 30 seats, & 6 at the counter, Please call prior for big groups. Cash only. There is parking turn on Juniper. Handicap can park in front. Closed Tuesday/Wednesday. 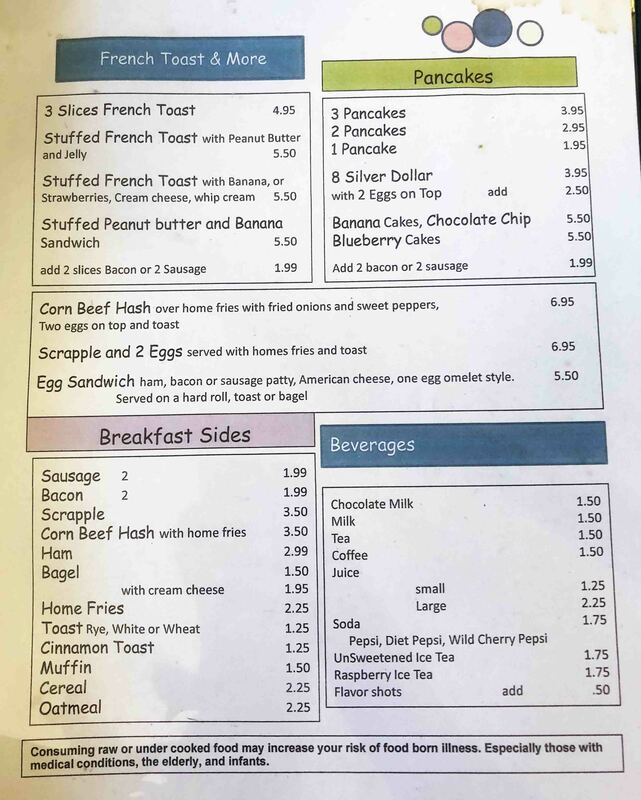 Definitely try their french toast!